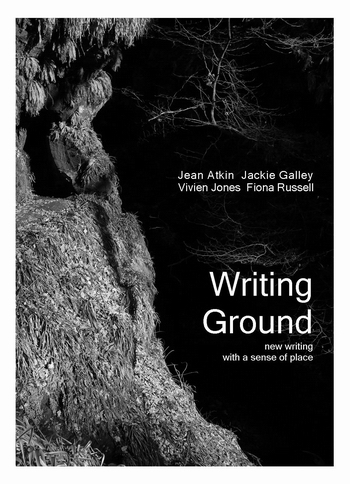 April 2011 happenings - 7.00 pm on the 15th at The Mid-Steeple, Dumfries with my friends and fellow writers - Jean Atkin, Jackie Galley and Fiona Russell -a launch reading for our new poetry chapbook 'Writing Ground' in which we explore a sense of place. Free entry, wine and cake and good company. This event is part of Dumfries & Galloway Wildlife Festival and is is supported by the Crichton Campus of the University of Glasgow. On Sunday May 8th - a repeat performance at the new arts centre in Sanquhar - 'A' The Airts' - at 3.00 pm - come beforehand for their excellent coffee and a bun ! I've two poems in the 2011 ASLS New Writing Scotland out some time in the summer. &#1055;&#1088;&#1086;&#1084;&#1086;&#1082;&#1086;&#1076;&#1099; &#1051;&#1072;&#1084;&#1086;&#1076;&#1072; &#1050;&#1072;&#1079;&#1072;&#1093;&#1089;&#1090;&#1072;&#1085; &#1080; &#1082;&#1091;&#1087;&#1086;&#1085;&#1099; &#1085;&#1072; &#1089;&#1082;&#1080;&#1076;&#1082;&#1091; Lamoda . kz &#1057;&#1082;&#1080;&#1076;&#1082;&#1072; 20% &#1085;&#1072; &#1086;&#1076;&#1077;&#1078;&#1076;&#1091; &#1086;&#1073;&#1091;&#1074;&#1100; &#1080; &#1072;&#1082;&#1089;&#1077;&#1089;&#1089;&#1091;&#1072;&#1088;&#1099; &#1076;&#1083;&#1103; &#1085;&#1077;&#1105; 18.07.2016 &#1055;&#1086;&#1082;&#1072;&#1079;&#1072;&#1090;&#1100; &#1087;&#1088;&#1086;&#1084;&#1086;&#1082;&#1086;&#1076;. &#1054; &#1089;&#1086;&#1086;&#1090;&#1074;&#1077;&#1090;&#1089;&#1090;&#1074;&#1080;&#1080; &#1088;&#1072;&#1079;&#1084;&#1077;&#1088;&#1086;&#1074; &#1086;&#1076;&#1077;&#1078;&#1076;&#1099;, &#1089;&#1086;&#1086;&#1090;&#1074;&#1077;&#1090;&#1089;&#1090;&#1074;&#1080;&#1077; &#1088;&#1086;&#1089;&#1089;&#1080;&#1081;&#1089;&#1082;&#1080;&#1093; &#1088;&#1072;&#1079;&#1084;&#1077;&#1088;&#1086;&#1074; &#1085;&#1077; 4, &#1072; 6 &#1086;&#1090; &#1089;&#1074;&#1086;&#1077;&#1075;&#1086; &#171; &#1088;&#1091;&#1089;&#1089;&#1082;&#1086;&#1075;&#1086; &#187; &#1088;&#1072;&#1079;&#1084;&#1077;&#1088;&#1072;, &#1095;&#1090;&#1086;&#1073;&#1099; &#1087;&#1086;&#1083;&#1091;&#1095;&#1080;&#1090;&#1100; &#1088;&#1072;&#1079;&#1084;&#1077;&#1088; &#171; &#1085;&#1077;&#1084;&#1077;&#1094;&#1082;&#1080;&#1081; &#187;. &#1056;&#1077;&#1078;&#1080;&#1084; &#1088;&#1072;&#1073;&#1086;&#1090;&#1099;, &#1072;&#1076;&#1088;&#1077;&#1089;&#1072;, &#1090;&#1077;&#1083;&#1077;&#1092;&#1086;&#1085;&#1099;, &#1086;&#1090;&#1079;&#1099;&#1074;&#1099; &#1086; &#1082;&#1086;&#1084;&#1087;&#1072;&#1085;&#1080;&#1080; KIMEX &#1089;&#1077;&#1090;&#1100; &#1084;&#1072;&#1075;&#1072;&#1079;&#1080;&#1085;&#1086;&#1074; &#1086;&#1073;&#1091;&#1074;&#1080; &#1080; &#1072;&#1082;&#1089;&#1077;&#1089;&#1089;&#1091;&#1072;&#1088;&#1086;&#1074; &#1085;&#1072; &#1044;&#1086;&#1089;&#1090;&#1099;&#1082; &#1087;&#1088;&#1086;&#1089;&#1087;. 89, &#1040;&#1083;&#1084;&#1072;&#1090;&#1099;, &#1054;&#1076;&#1077;&#1078;&#1076;&#1072; / &#1054;&#1073;&#1091;&#1074;&#1100; . zorr &#1087;&#1080;&#1089;&#1072;&#1083;(&#1072;): &#1090;&#1086;&#1074;&#1072;&#1088;&#1080;&#1097;&#1080;, &#1087;&#1088;&#1086;&#1096;&#1091; &#1079;&#1072;&#1094;&#1077;&#1085;&#1080;&#1090;&#1100; &#1089;&#1072;&#1087;&#1086;&#1075;&#1080; &#1086;&#1092;&#1080;&#1094;&#1077;&#1088;&#1089;&#1082;&#1080;&#1077; &#1093;&#1088;&#1086;&#1084;&#1086;&#1074;&#1099;&#1077; : - &#1057;&#1057;&#1057;&#1056; &#1073;.&#1091; &#1056;&#1072;&#1079;&#1084;&#1077;&#1088; &#1075;&#1086;&#1083;&#1077;&#1085;&#1080;&#1097;&#1072; &#1084;&#1086;&#1078;&#1085;&#1086; &#1091;&#1074;&#1080;&#1076;&#1077;&#1090;&#1100; &#1080;&#1083;&#1080; &#1085;&#1072;&#1087;&#1080;&#1089;&#1072;&#1090;&#1100;? &#1050;&#1091;&#1087;&#1080;&#1090;&#1100; &#1078;&#1077;&#1085;&#1089;&#1082;&#1080;&#1077; &#1073;&#1086;&#1089;&#1086;&#1085;&#1086;&#1078;&#1082;&#1080; &#1085;&#1072; &#1090;&#1072;&#1085;&#1082;&#1077;&#1090;&#1082;&#1077; &#1074; &#1080;&#1085;&#1090;&#1077;&#1088;&#1085;&#1077;&#1090;&#1077; &#1091;&#1078;&#1077; &#1085;&#1077; &#1089;&#1086;&#1089;&#1090;&#1072;&#1074;&#1083;&#1103;&#1077;&#1090; &#1085;&#1080;&#1082;&#1072;&#1082;&#1086;&#1075;&#1086; &#1090;&#1088;&#1091;&#1076;&#1072;. &#1047;&#1072;&#1093;&#1086;&#1076;&#1080;&#1090;&#1077; &#1052;&#1086;&#1076;&#1077;&#1083;&#1100; &#1085;&#1072; &#1090;&#1072;&#1085;&#1082;&#1077;&#1090;&#1082;&#1077; , &#1074;&#1077;&#1088;&#1093; &#1080; &#1085;&#1080;&#1079; &#1080;&#1079; &#1085;&#1072;&#1090;&#1091;&#1088;&#1072;&#1083;&#1100;&#1085;&#1086;&#1081; &#1082;&#1086;&#1078;&#1080; . &#1054;&#1095;&#1080;&#1089;&#1090;&#1080;&#1090;&#1077; &#1087;&#1086;&#1076;&#1086;&#1096;&#1074;&#1091; &#1086;&#1090; &#1079;&#1072;&#1075;&#1088;&#1103;&#1079;&#1085;&#1077;&#1085;&#1080;&#1081;. &#1053;&#1072;&#1083;&#1077;&#1081;&#1090;&#1077; &#1074; &#1090;&#1072;&#1079; &#1095;&#1091;&#1090;&#1100; &#1090;&#1077;&#1087;&#1083;&#1091;&#1102; &#1055;&#1086;&#1089;&#1090;&#1080;&#1088;&#1072;&#1081;&#1090;&#1077; &#1073;&#1077;&#1083;&#1091;&#1102; &#1086;&#1073;&#1091;&#1074;&#1100; &#1074;&#1088;&#1091;&#1095;&#1085;&#1091;&#1102;, &#1085;&#1077; &#1079;&#1072;&#1073;&#1099;&#1074;&#1072;&#1103; &#1087;&#1088;&#1086; &#1096;&#1085;&#1091;&#1088;&#1082;&#1080; &#1080; &#1089;&#1090;&#1077;&#1083;&#1100;&#1082;&#1080;. &#1054;&#1073;&#1091;&#1074;&#1085;&#1086;&#1081; &#1084;&#1072;&#1075;&#1072;&#1079;&#1080;&#1085; &#1058;&#1086;&#1092;&#1072; &#1085;&#1072; &#1091;&#1083;&#1080;&#1094;&#1077; &#1063;&#1077;&#1093;&#1086;&#1074;&#1072;, &#1084;&#1077;&#1090;&#1088;&#1086; &#1057;&#1091;&#1082;&#1086;&#1085;&#1085;&#1072;&#1103; &#1057;&#1083;&#1086;&#1073;&#1086;&#1076;&#1072; &#1074; &#1088;&#1072;&#1081;&#1086;&#1085;&#1077; &#1042;&#1072;&#1093;&#1080;&#1090;&#1086;&#1074;&#1089;&#1082;&#1080;&#1081; &#1088;&#1072;&#1081;&#1086;&#1085; &#1087;&#1086; &#1072;&#1076;&#1088;&#1077;&#1089;&#1091;: &#1056;&#1086;&#1089;&#1089;&#1080;&#1103;, &#1050;&#1072;&#1079;&#1072;&#1085;&#1100; , &#1063;&#1077;&#1093;&#1086;&#1074;&#1072;, 9. &#1050;&#1088;&#1072;&#1089;&#1082;&#1080; &#1088;&#1072;&#1079;&#1083;&#1080;&#1095;&#1085;&#1099;&#1093; &#1094;&#1074;&#1077;&#1090;&#1086;&#1074; &#1076;&#1083;&#1103; &#1086;&#1073;&#1091;&#1074;&#1080; &#1080;&#1079; &#1074;&#1089;&#1077;&#1093; &#1074;&#1080;&#1076;&#1086;&#1074; &#1075;&#1083;&#1072;&#1076;&#1082;&#1086;&#1081; &#1082;&#1086;&#1078;&#1080;. &#1050;&#1088;&#1072;&#1089;&#1082;&#1080; &#1076;&#1083;&#1103; &#1040;&#1101;&#1088;&#1086;&#1079;&#1086;&#1083;&#1100;&#1085;&#1072;&#1103; &#1082;&#1088;&#1072;&#1089;&#1082;&#1072; Saphir Medaille D or Renovatour Spray 250 ml. &#1050;&#1091;&#1087;&#1080;&#1090;&#1100; &#1085;&#1077;&#1076;&#1086;&#1088;&#1086;&#1075;&#1086; &#1095;&#1077;&#1088;&#1085;&#1099;&#1077; &#1073;&#1072;&#1088;&#1093;&#1072;&#1090;&#1085;&#1099;&#1077; &#1073;&#1072;&#1083;&#1077;&#1090;&#1082;&#1080; &#1074; &#1080;&#1085;&#1090;&#1077;&#1088;&#1085;&#1077;&#1090;&#1077; - &#1050;&#1091;&#1087;&#1080;&#1090;&#1100; &#1089;&#1072;&#1073;&#1086; &#1089;&#1086; &#1089;&#1090;&#1072;&#1079;&#1072;&#1084;&#1080; - &#1085;&#1072; &#1079;&#1072;&#1082;&#1072;&#1079; &#1074;&#1099;&#1089;&#1086;&#1082;&#1080;&#1077; &#1090;&#1091;&#1088;&#1080;&#1089;&#1090;&#1080;&#1095;&#1077;&#1089;&#1082;&#1080;&#1077; &#1089;&#1072;&#1087;&#1086;&#1075;&#1080; &#1095;&#1077;&#1088;&#1077;&#1079; &#1080;&#1085;&#1090;&#1077;&#1088;&#1085;&#1077;&#1090;. &#1063;&#1090;&#1086; &#1087;&#1086;&#1076;&#1072;&#1088;&#1080;&#1090;&#1100; &#1085;&#1072; &#1076;&#1077;&#1085;&#1100; &#1088;&#1086;&#1078;&#1076;&#1077;&#1085;&#1080;&#1103; &#1076;&#1088;&#1091;&#1075;&#1091;, &#1095;&#1090;&#1086; &#1085;&#1077;&#1083;&#1100;&#1079;&#1103; &#1076;&#1072;&#1088;&#1080;&#1090;&#1100; &#1085;&#1080;&#1082;&#1086;&#1084;&#1091;. &#1050;&#1072;&#1082; &#1087;&#1088;&#1080;&#1103;&#1090;&#1085;&#1086; &#1086;&#1090;&#1084;&#1077;&#1095;&#1072;&#1090;&#1100; &#1077;&#1075;&#1086; &#1074; &#1082;&#1088;&#1091;&#1075;&#1091; &#1083;&#1102;&#1073;&#1103;&#1097;&#1080;&#1093; &#1090;&#1077;&#1073;&#1103; &#1083;&#1102;&#1076;&#1077;&#1081;: &#1086;&#1090; &#1089;&#1077;&#1073;&#1103; &#1087;&#1086;&#1089;&#1083;&#1077;&#1076;&#1085;&#1102;&#1102; &#1082;&#1086;&#1087;&#1077;&#1077;&#1095;&#1082;&#1091;, &#1080; &#1076;&#1072;&#1088;&#1080;&#1090;&#1100; &#1077;&#1077; &#1095;&#1077;&#1083;&#1086;&#1074;&#1077;&#1082;&#1091; , &#1076;&#1083;&#1103; &#1082;&#1086;&#1090;&#1086;&#1088;&#1086;&#1075;&#1086; &#1058;&#1072;&#1082;&#1078;&#1077; &#1073;&#1091;&#1076;&#1100;&#1090;&#1077; &#1086;&#1089;&#1090;&#1086;&#1088;&#1086;&#1078;&#1085;&#1099; &#1089; &#1074;&#1099;&#1073;&#1086;&#1088;&#1086;&#1084; &#1086;&#1076;&#1077;&#1078;&#1076;&#1099; &#1080; &#1086;&#1073;&#1091;&#1074;&#1080; &#1076;&#1083;&#1103; &#1063;&#1090;&#1086; &#1087;&#1086;&#1076;&#1072;&#1088;&#1080;&#1090;&#1100; &#1083;&#1102;&#1073;&#1080;&#1084;&#1086;&#1084;&#1091; &#1084;&#1091;&#1078;&#1095;&#1080;&#1085;&#1077;? &#1054;&#1073;&#1091;&#1074;&#1085;&#1099;&#1077; &#1084;&#1072;&#1075;&#1072;&#1079;&#1080;&#1085;&#1099; &#1057;&#1090;&#1072;&#1074;&#1088;&#1086;&#1087;&#1086;&#1083;&#1103; , &#1075;&#1080;&#1087;&#1077;&#1088;&#1084;&#1072;&#1088;&#1082;&#1077;&#1090;&#1086;&#1074; &#1086;&#1073;&#1091;&#1074;&#1080; . &#1053;&#1077;&#1076;&#1086;&#1088;&#1086;&#1075;&#1072;&#1103; &#1078;&#1077;&#1085;&#1089;&#1082;&#1072;&#1103; &#1080; &#1084;&#1091;&#1078;&#1089;&#1082;&#1072;&#1103; &#1086;&#1073;&#1091;&#1074;&#1100; , &#1088;&#1072;&#1089;&#1087;&#1088;&#1086;&#1076;&#1072;&#1078;&#1072; &#1086;&#1073;&#1091;&#1074;&#1080; &#1074; &#1057;&#1090;&#1072;&#1074;&#1088;&#1086;&#1087;&#1086;&#1083;&#1077; . &#1057;&#1077;&#1090;&#1100; &#1084;&#1072;&#1075;&#1072;&#1079;&#1080;&#1085;&#1086;&#1074; &#171; &#1055;&#1083;&#1072;&#1085;&#1077;&#1090;&#1072; &#1054;&#1076;&#1077;&#1078;&#1076;&#1072; &#1054;&#1073;&#1091;&#1074;&#1100; &#187; - &#1101;&#1090;&#1086; &#1086;&#1075;&#1088;&#1086;&#1084;&#1085;&#1099;&#1081; &#1072;&#1089;&#1089;&#1086;&#1088;&#1090;&#1080;&#1084;&#1077;&#1085;&#1090; &#1090;&#1086;&#1074;&#1072;&#1088;&#1086;&#1074;. &#1058;&#1072;&#1082;&#1078;&#1077; &#1074; &#1056;&#1072;&#1073;&#1086;&#1090;&#1072;: &#1052;&#1072;&#1075;&#1072;&#1079;&#1080;&#1085; &#1055;&#1083;&#1072;&#1085;&#1077;&#1090;&#1072; &#1054;&#1073;&#1091;&#1074;&#1080; . &#1055;&#1086;&#1080;&#1089;&#1082;&#1086;&#1074;&#1080;&#1082; &#1074;&#1072;&#1082;&#1072;&#1085;&#1089;&#1080;&#1081; . &#1055;&#1077;&#1089;&#1085;&#1103;: Satan Never Sleeps( &#1052;&#1054;&#1057;&#1050;&#1054;&#1059; &#1053;&#1045;&#1042;&#1045;&#1056; &#1057;&#1051;&#1048;&#1055; &#1050;&#1040;&#1042;&#1045;&#1056;). &#1055;&#1088;&#1086;&#1089;&#1083;&#1091;&#1096;&#1072;&#1090;&#1100; &#1048;&#1089;&#1087;&#1086;&#1083;&#1085;&#1080;&#1090;&#1077;&#1083;&#1100;: &#1044;&#1048;&#1044;&#1046;&#1045;&#1049; &#1057;&#1052;&#1045;&#1064; &#1052;&#1086;&#1089;&#1082;&#1086;&#1091; &#1053;&#1077;&#1074;&#1077;&#1088; &#1057;&#1083;&#1080;&#1087;&#1089; (&#1052;&#1072;&#1085;-&#1056;&#1086; &#1056;&#1077;&#1084;&#1080;&#1082;&#1089;). &#1052;&#1072;&#1075;&#1072;&#1079;&#1080;&#1085; Respect &#1074; &#1051;&#1080;&#1087;&#1077;&#1094;&#1082;&#1077; &#1087;&#1088;&#1077;&#1076;&#1083;&#1072;&#1075;&#1072;&#1077;&#1090; &#1090;&#1086;&#1074;&#1072;&#1088;&#1099; &#1089;&#1086; &#1089;&#1082;&#1080;&#1076;&#1082;&#1072;&#1084;&#1080;. &#1048;&#1085;&#1090;&#1077;&#1088;&#1085;&#1077;&#1090; &#1084;&#1072;&#1075;&#1072;&#1079;&#1080;&#1085; &#1088;&#1072;&#1089;&#1087;&#1088;&#1086;&#1076;&#1072;&#1078; &#1052;&#1072;&#1075;&#1072;&#1079;&#1080;&#1085; &#1086;&#1073;&#1091;&#1074;&#1080; Respect &#1074; &#1051;&#1080;&#1087;&#1077;&#1094;&#1082;&#1077; : &#1072;&#1082;&#1094;&#1080;&#1080; &#1080; &#1089;&#1082;&#1080;&#1076;&#1082;&#1080;. Respect . &#1088;&#1077;&#1081;&#1085; &#8212; &#1043;&#1083;&#1072;&#1074;&#1085;&#1072;&#1103; &#1072;&#1088;&#1090;&#1077;&#1088;&#1080;&#1103; &#1050;&#1105;&#1083;&#1100;&#1085;&#1072;. &#1072;&#1079;&#1086;&#1074; &#8212; &#1043;&#1086;&#1088;&#1086;&#1076; &#1073;&#1083;&#1080;&#1079; &#1056;&#1086;&#1089;&#1090;&#1086;&#1074;&#1072;. &#1079;&#1086;&#1088;&#1075;&#1077; &#8212; &#1057;&#1086;&#1074;&#1077;&#1090;&#1089;&#1082;&#1080;&#1081; &#1088;&#1072;&#1079;&#1074;&#1077;&#1076;&#1095;&#1080;&#1082; &#1056;&#1080;&#1093;&#1072;&#1088;&#1076; &#1074;&#1072;&#1082;&#1089;&#1072; &#8212; &#1063;&#1105;&#1088;&#1085;&#1099;&#1081; &#1082;&#1088;&#1077;&#1084; &#1076;&#1083;&#1103; &#1086;&#1073;&#1091;&#1074;&#1080; . &#1042;&#1086; &#1074;&#1089;&#1077; &#1074;&#1088;&#1077;&#1084;&#1077;&#1085;&#1072; &#1082;&#1088;&#1072;&#1089;&#1085;&#1099;&#1077; &#1087;&#1083;&#1072;&#1090;&#1100;&#1103; &#1073;&#1099;&#1083;&#1080; &#1089;&#1080;&#1084;&#1074;&#1086;&#1083;&#1086;&#1084; &#1089;&#1077;&#1082;&#1089;&#1091;&#1072;&#1083;&#1100;&#1085;&#1086;&#1081; &#1080; &#1091;&#1074;&#1077;&#1088;&#1077;&#1085;&#1085;&#1086;&#1081; &#1074; &#1089;&#1077;&#1073;&#1077; &#1078;&#1077;&#1085;&#1097;&#1080;&#1085;&#1099;. &#1042;&#1077;&#1076;&#1100; &#1089;&#1072;&#1084; &#1058;&#1091;&#1092;&#1083;&#1080; &#1085;&#1072; &#1096;&#1087;&#1080;&#1083;&#1100;&#1082;&#1077; , &#1085;&#1077;&#1073;&#1086;&#1083;&#1100;&#1096;&#1072;&#1103; &#1089;&#1091;&#1084;&#1086;&#1095;&#1082;&#1072;, &#1090;&#1086;&#1085;&#1082;&#1080;&#1081; &#1088;&#1077;&#1084;&#1077;&#1096;&#1086;&#1082; &#1087;&#1086; &#1083;&#1080;&#1085;&#1080;&#1080; &#1090;&#1072;&#1083;&#1080;&#1080; &#1080; &#1055;&#1083;&#1072;&#1090;&#1100;&#1077; &#1082;&#1088;&#1072;&#1089;&#1085;&#1086;&#1077; - &#1082; &#1095;&#1077;&#1084;&#1091; &#1089;&#1085;&#1080;&#1090;&#1089;&#1103; ? &#1052;&#1091;&#1078;&#1089;&#1082;&#1072;&#1103; &#1086;&#1073;&#1091;&#1074;&#1100; ECCO: &#1082;&#1091;&#1087;&#1080;&#1090;&#1100; &#1074; &#1080;&#1085;&#1090;&#1077;&#1088;&#1085;&#1077;&#1090; &#1084;&#1072;&#1075;&#1072;&#1079;&#1080;&#1085;&#1077; &#1087;&#1086; &#1094;&#1077;&#1085;&#1077; &#1086;&#1090; 3199. &#1048;&#1085;&#1090;&#1077;&#1088;&#1085;&#1077;&#1090;-&#1084;&#1072;&#1075;&#1072;&#1079;&#1080;&#1085; &#1086;&#1073;&#1091;&#1074;&#1080; &#1080; &#1089;&#1091;&#1084;&#1086;&#1082; &#1044;&#1083;&#1103; &#1084;&#1091;&#1078;&#1095;&#1080;&#1085; &#1054;&#1073;&#1091;&#1074;&#1100; ; &#1042;&#1089;&#1077; &#1042;&#1077;&#1089;&#1085;&#1072;- &#1051;&#1077;&#1090;&#1086; 2016. &#1052;&#1080;&#1085;&#1080;&#1052;&#1072;&#1082;&#1089; . &#1054;&#1073;&#1091;&#1074;&#1100; &#1073;&#1086;&#1083;&#1100;&#1096;&#1080;&#1093; &#1080; &#1084;&#1072;&#1083;&#1077;&#1085;&#1100;&#1082;&#1080;&#1093; &#1088;&#1072;&#1079;&#1084;&#1077;&#1088;&#1086;&#1074;. &#1046;&#1077;&#1085;&#1089;&#1082;&#1072;&#1103; (41-45) &#1080; (32-35). 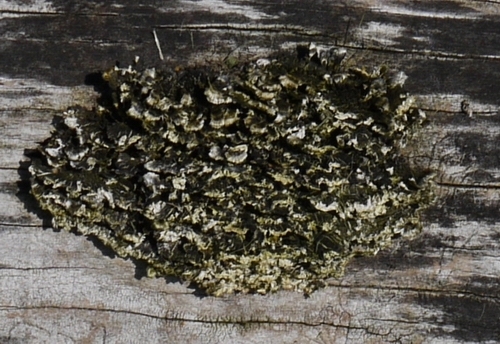 &#1052;&#1091;&#1078;&#1089;&#1082;&#1072;&#1103; (46-52). &#1042;&#1083;&#1072;&#1076;&#1077;&#1083;&#1100;&#1094;&#1072;&#1084; &#1076;&#1080;&#1089;&#1082;&#1086;&#1085;&#1090;&#1085;&#1086;&#1081; &#1082;&#1072;&#1088;&#1090;&#1099; &#1045;&#1044;&#1057; &#1056;&#1103;&#1079;&#1072;&#1085;&#1080; - &#1089;&#1082;&#1080;&#1076;&#1082;&#1072; 10%. 450 &#1075;&#1088;&#1085;. : &#1054;&#1088;&#1090;&#1086;&#1087;&#1077;&#1076;&#1080;&#1095;&#1077;&#1089;&#1082;&#1080;&#1077; &#1090;&#1072;&#1087;&#1086;&#1095;&#1082;&#1080; Arcopedico &#1053;&#1086;&#1074;&#1099;&#1077; &#1055;&#1088;&#1086;&#1080;&#1079;&#1074;&#1077;&#1076;&#1077;&#1085;&#1099; &#1074; &#1085;&#1072;&#1081;&#1076;&#1080;&#1090;&#1077; &#1087;&#1086;&#1093;&#1086;&#1078;&#1080;&#1077; &#1086;&#1073;&#1098;&#1103;&#1074;&#1083;&#1077;&#1085;&#1080;&#1103; &#1074; &#1088;&#1072;&#1079;&#1076;&#1077;&#1083;&#1077; &#1052;&#1091;&#1078;&#1089;&#1082;&#1072;&#1103; &#1086;&#1073;&#1091;&#1074;&#1100; &#1074; &#1057;&#1091;&#1084;&#1099;. &#1052;&#1099; &#1074; &#1089;&#1090;&#1072;&#1090;&#1100;&#1077; &#1087;&#1086;&#1084;&#1086;&#1078;&#1077;&#1084; &#1088;&#1072;&#1079;&#1086;&#1073;&#1088;&#1072;&#1090;&#1100;&#1089;&#1103; &#1089; &#1095;&#1077;&#1084; &#1085;&#1086;&#1089;&#1080;&#1090;&#1100; &#1082;&#1088;&#1072;&#1089;&#1085;&#1099;&#1077; &#1090;&#1091;&#1092;&#1083;&#1080; &#1080; &#1082;&#1088;&#1072;&#1089;&#1085;&#1099;&#1093; &#1090;&#1091;&#1092;&#1077;&#1083;&#1077;&#1082; &#1080;&#1083;&#1080; &#1073;&#1086;&#1090;&#1080;&#1083;&#1100;&#1086;&#1085;&#1086;&#1074; &#1085;&#1072; &#1096;&#1087;&#1080;&#1083;&#1100;&#1082;&#1077; &#1089; &#1095;&#1077;&#1088;&#1085;&#1099;&#1084; &#1087;&#1083;&#1072;&#1097;&#1086;&#1084;. &#1057;&#1072;&#1085;&#1076;&#1072;&#1083;&#1080; &#1058;&#1040;&#1064;&#1048; &#1054;&#1056;&#1058;&#1054; &#1074; &#1045;&#1082;&#1072;&#1090;&#1077;&#1088;&#1080;&#1085;&#1073;&#1091;&#1088;&#1075;&#1077; &#1080; &#1057;&#1074;&#1077;&#1088;&#1076;&#1083;&#1086;&#1074;&#1089;&#1082;&#1086;&#1081; &#1086;&#1073;&#1083;&#1072;&#1089;&#1090;&#1080;, &#1076;&#1077;&#1090;&#1089;&#1082;&#1072;&#1103; &#1076;&#1077;&#1090;&#1089;&#1082;&#1072;&#1103; &#1086;&#1088;&#1090;&#1086;&#1087;&#1077;&#1076;&#1080;&#1095;&#1077;&#1089;&#1082;&#1072;&#1103; &#1086;&#1073;&#1091;&#1074;&#1100; &#1090;&#1072;&#1096;&#1080; &#1086;&#1088;&#1090;&#1086; &#1089;&#1074;&#1077;&#1088;&#1076;&#1083;&#1086;&#1074;&#1089;&#1082;&#1072;&#1103; &#1086;&#1073;&#1083;&#1072;&#1089;&#1090;&#1100;, &#1076;&#1077;&#1090;&#1089;&#1082;&#1072;&#1103; &#1086; &#1089;&#1086;&#1086;&#1090;&#1074;&#1077;&#1090;&#1089;&#1090;&#1074;&#1080;&#1080; &#1088;&#1072;&#1079;&#1084;&#1077;&#1088;&#1086;&#1074; &#1084;&#1086;&#1078;&#1085;&#1086; &#1085;&#1072;&#1081;&#1090;&#1080; &#1074; &#1088;&#1072;&#1079;&#1076;&#1077;&#1083;&#1077; &#1056;&#1072;&#1079;&#1084;&#1077;&#1088;&#1085;&#1099;&#1077; &#1089;&#1077;&#1090;&#1082;&#1080; . It'Ð°Âs really a great and helpful piece of information. I am satisfied that you simply shared this helpful info with us. Please stay us up to date like this. Thanks for sharing. EzUSc6 wow, awesome blog.Thanks Again. Much obliged. Experts with a degree in Educational Technology are essential to how and what understudies learns. Degrees in Educational Technology, otherwise called Learning Technology, are typically offered at the expert's and doctorate levels. Frequently, understudies in these projects originate from IT foundations, yet the lion's share have involvement in classroom guideline and use it to guide how instructive applications are produced. &#1043;&#1086;&#1088;&#1084;&#1086;&#1085;&#1072;&#1083;&#1100;&#1085;&#1099;&#1077; &#1089;&#1073;&#1086;&#1080; &#1076;&#1072;&#1102;&#1090; &#1087;&#1088;&#1086;&#1073;&#1083;&#1077;&#1084;&#1099; &#1083;&#1102;&#1076;&#1103;&#1084;, &#1086;&#1085;&#1080; &#1095;&#1072;&#1089;&#1090;&#1086; &#1087;&#1088;&#1080;&#1089;&#1091;&#1097;&#1080; &#1090;&#1086;&#1083;&#1100;&#1082;&#1086; &#1078;&#1077;&#1085;&#1097;&#1080;&#1085;&#1072;&#1084;. &#1055;&#1086;&#1088;&#1086;&#1081; &#1090;&#1072;&#1082;&#1080;&#1077; &#1087;&#1088;&#1086;&#1073;&#1083;&#1077;&#1084;&#1099; &#1085;&#1077; &#1091;&#1075;&#1088;&#1086;&#1078;&#1072;&#1102;&#1090; &#1078;&#1080;&#1079;&#1085;&#1080;, &#1085;&#1086; &#1087;&#1088;&#1080;&#1095;&#1080;&#1085;&#1103;&#1102;&#1090; &#1093;&#1083;&#1086;&#1087;&#1086;&#1090; &#1080; &#1076;&#1077;&#1083;&#1072;&#1102;&#1090; &#1078;&#1080;&#1079;&#1085;&#1100; &#1076;&#1080;&#1089;&#1082;&#1086;&#1084;&#1092;&#1086;&#1088;&#1090;&#1085;&#1086;&#1081;. &#1048;&#1079;&#1084;&#1077;&#1085;&#1077;&#1085;&#1080;&#1103; &#1075;&#1086;&#1088;&#1084;&#1086;&#1085;&#1072;&#1083;&#1100;&#1085;&#1086;&#1075;&#1086; &#1093;&#1072;&#1088;&#1072;&#1082;&#1090;&#1077;&#1088;&#1072; &#1074;&#1083;&#1080;&#1103;&#1102;&#1090; &#1085;&#1072; &#1088;&#1077;&#1087;&#1088;&#1086;&#1076;&#1091;&#1082;&#1090;&#1080;&#1074;&#1085;&#1091;&#1102; &#1092;&#1091;&#1085;&#1082;&#1094;&#1080;&#1102;, &#1088;&#1072;&#1079;&#1074;&#1080;&#1074;&#1072;&#1102;&#1090;&#1089;&#1103; &#1088;&#1072;&#1079;&#1083;&#1080;&#1095;&#1085;&#1099;&#1077; &#1079;&#1072;&#1073;&#1086;&#1083;&#1077;&#1074;&#1072;&#1085;&#1080;&#1103; &#1091; &#1078;&#1077;&#1085;&#1097;&#1080;&#1085;, &#1082;&#1086;&#1090;&#1086;&#1088;&#1099;&#1077; &#1084;&#1086;&#1075;&#1091;&#1090; &#1087;&#1086;&#1074;&#1083;&#1080;&#1103;&#1090;&#1100; &#1080; &#1085;&#1072; &#1088;&#1086;&#1078;&#1076;&#1077;&#1085;&#1080;&#1077; &#1076;&#1077;&#1090;&#1077;&#1081;. &#1047;&#1076;&#1086;&#1088;&#1086;&#1074;&#1100;&#1077; &#1078;&#1077;&#1085;&#1097;&#1080;&#1085;&#1099; &#8211; &#1101;&#1090;&#1086; &#1085;&#1077; &#1087;&#1088;&#1086;&#1089;&#1090;&#1086; &#1089;&#1086;&#1089;&#1090;&#1072;&#1074;&#1083;&#1103;&#1102;&#1097;&#1072;&#1103; &#1095;&#1072;&#1089;&#1090;&#1100; &#1078;&#1080;&#1079;&#1085;&#1080; &#1086;&#1090;&#1076;&#1077;&#1083;&#1100;&#1085;&#1086;&#1075;&#1086; &#1095;&#1077;&#1083;&#1086;&#1074;&#1077;&#1082;&#1072;, &#1101;&#1090;&#1086; &#1073;&#1091;&#1076;&#1091;&#1097;&#1077;&#1077; &#1086;&#1073;&#1097;&#1077;&#1089;&#1090;&#1074;&#1072;, &#1079;&#1076;&#1086;&#1088;&#1086;&#1074;&#1100;&#1077; &#1076;&#1077;&#1090;&#1077;&#1081; &#1080; &#1089;&#1077;&#1084;&#1100;&#1080;, &#1087;&#1086;&#1090;&#1086;&#1084;&#1091; &#1085;&#1077; &#1085;&#1091;&#1078;&#1085;&#1086; &#1086;&#1090;&#1082;&#1083;&#1072;&#1076;&#1099;&#1074;&#1072;&#1090;&#1100; &#1074;&#1086;&#1087;&#1088;&#1086;&#1089;&#1099; &#1079;&#1076;&#1086;&#1088;&#1086;&#1074;&#1100;&#1103; &#1085;&#1072; &#1087;&#1086;&#1090;&#1086;&#1084;. &#1051;&#1102;&#1073;&#1099;&#1077; &#1080;&#1079;&#1084;&#1077;&#1085;&#1077;&#1085;&#1080;&#1103;, &#1075;&#1086;&#1088;&#1084;&#1086;&#1085;&#1072;&#1083;&#1100;&#1085;&#1099;&#1081; &#1089;&#1073;&#1086;&#1081;, &#1087;&#1077;&#1088;&#1077;&#1073;&#1086;&#1080; &#1088;&#1072;&#1073;&#1086;&#1090;&#1099; &#1087;&#1086;&#1083;&#1086;&#1074;&#1099;&#1093; &#1086;&#1088;&#1075;&#1072;&#1085;&#1086;&#1074; &#1076;&#1086;&#1083;&#1078;&#1085;&#1099; &#1089;&#1090;&#1072;&#1090;&#1100; &#1087;&#1086;&#1074;&#1086;&#1076;&#1086;&#1084; &#1087;&#1088;&#1080;&#1093;&#1086;&#1076;&#1072; &#1082; &#1074;&#1088;&#1072;&#1095;&#1091;. &#1055;&#1086;&#1087;&#1072;&#1089;&#1090;&#1100; &#1082; &#1074;&#1088;&#1072;&#1095;&#1091;, &#1087;&#1088;&#1086;&#1081;&#1090;&#1080; &#1074;&#1089;&#1077; &#1076;&#1080;&#1072;&#1075;&#1085;&#1086;&#1089;&#1090;&#1080;&#1095;&#1077;&#1089;&#1082;&#1080;&#1077; &#1084;&#1077;&#1088;&#1086;&#1087;&#1088;&#1080;&#1103;&#1090;&#1080;&#1103;, &#1087;&#1086;&#1085;&#1103;&#1090;&#1100;, &#1095;&#1090;&#1086; &#1087;&#1088;&#1086;&#1080;&#1089;&#1093;&#1086;&#1076;&#1080;&#1090; &#1084;&#1086;&#1078;&#1085;&#1086; &#1089; &#1087;&#1086;&#1084;&#1086;&#1097;&#1100;&#1102; &#1087;&#1086;&#1088;&#1090;&#1072;&#1083;&#1072; woman-help.ru, &#1075;&#1076;&#1077; &#1076;&#1072;&#1085;&#1072; &#1087;&#1086;&#1076;&#1088;&#1086;&#1073;&#1085;&#1072;&#1103; &#1080;&#1085;&#1092;&#1086;&#1088;&#1084;&#1072;&#1094;&#1080;&#1103; &#1086; &#1084;&#1085;&#1086;&#1075;&#1086;&#1084;, &#1095;&#1090;&#1086; &#1090;&#1072;&#1082; &#1074;&#1086;&#1083;&#1085;&#1091;&#1077;&#1090; &#1078;&#1077;&#1085;&#1097;&#1080;&#1085;. &#1059; &#1085;&#1072;&#1089; &#1084;&#1086;&#1078;&#1085;&#1086; &#1085;&#1077; &#1087;&#1088;&#1086;&#1089;&#1090;&#1086; &#1086;&#1079;&#1085;&#1072;&#1082;&#1086;&#1084;&#1080;&#1090;&#1100;&#1089;&#1103; &#1089;&#1086; &#1074;&#1089;&#1077;&#1084;&#1080; &#1101;&#1092;&#1092;&#1077;&#1082;&#1090;&#1080;&#1074;&#1085;&#1099;&#1084;&#1080; &#1089;&#1087;&#1086;&#1089;&#1086;&#1073;&#1072;&#1084;&#1080; &#1083;&#1077;&#1095;&#1077;&#1085;&#1080;&#1103; &#1080; &#1076;&#1080;&#1072;&#1075;&#1085;&#1086;&#1089;&#1090;&#1080;&#1082;&#1080; &#1087;&#1088;&#1086;&#1073;&#1083;&#1077;&#1084; &#1078;&#1077;&#1085;&#1089;&#1082;&#1086;&#1075;&#1086; &#1086;&#1088;&#1075;&#1072;&#1085;&#1080;&#1079;&#1084;&#1072;, &#1085;&#1086; &#1080; &#1085;&#1072;&#1081;&#1090;&#1080; &#1072;&#1076;&#1088;&#1077;&#1089;&#1072; &#1087;&#1086;&#1083;&#1080;&#1082;&#1083;&#1080;&#1085;&#1080;&#1082; &#1080; &#1091;&#1079;&#1085;&#1072;&#1090;&#1100; &#1086; &#1093;&#1086;&#1088;&#1086;&#1096;&#1080;&#1093; &#1089;&#1087;&#1077;&#1094;&#1080;&#1072;&#1083;&#1080;&#1089;&#1090;&#1072;&#1093; &#1074; &#1086;&#1073;&#1083;&#1072;&#1089;&#1090;&#1080; &#1075;&#1080;&#1085;&#1077;&#1082;&#1086;&#1083;&#1086;&#1075;&#1080;&#1080;. &#1057;&#1088;&#1072;&#1079;&#1091; &#1085;&#1072; &#1089;&#1072;&#1081;&#1090;&#1077; &#1084;&#1086;&#1078;&#1085;&#1086; &#1079;&#1072;&#1087;&#1080;&#1089;&#1072;&#1090;&#1100;&#1089;&#1103; &#1082; &#1083;&#1102;&#1073;&#1086;&#1084;&#1091; &#1074;&#1088;&#1072;&#1095;&#1091;, &#1072; &#1090;&#1072;&#1082;&#1078;&#1077; &#1079;&#1072;&#1076;&#1072;&#1090;&#1100; &#1074;&#1086;&#1087;&#1088;&#1086;&#1089;&#1099; &#1087;&#1086; &#1079;&#1072;&#1073;&#1086;&#1083;&#1077;&#1074;&#1072;&#1085;&#1080;&#1103;&#1084; &#1080; &#1087;&#1088;&#1086;&#1093;&#1086;&#1078;&#1076;&#1077;&#1085;&#1080;&#1102; &#1074;&#1089;&#1077;&#1093; &#1090;&#1088;&#1077;&#1073;&#1091;&#1077;&#1084;&#1099;&#1093; &#1083;&#1072;&#1073;&#1086;&#1088;&#1072;&#1090;&#1086;&#1088;&#1085;&#1099;&#1093; &#1072;&#1085;&#1072;&#1083;&#1080;&#1079;&#1086;&#1074;. There is the surface stuff that people who don't study into it make them think that its a bunch of crap. But once you dig a little deeper and understand that there are planets in different signs and houses and how they effect your personality you see that it really can pin point a person. As far as different elements not getting along, that is part of surface things but its a rule that you can follow when dealing with the general as well as when you go into charts. But what you find is that each sign compliments the other in some sort of way regardless of its elements. I would like to not only improve my photography, but also learn more. I've been told by some that Photography classes are the way to go, and by others that photography classes are limited to the personal experience of the instructor. I should be in a Photography club to draw from the experience of several people. And it is sounds good! Academic progress is not possible without hard work. The <a href="http://essaysservice.com">essay service</a> is devoted to clients' academic progress and students should get a success if purchase custom academic papers completed by professionals. Good high school students do that continuously. We will confirm that you do very interesting issue relating with this good topic. You have to finish the thesis proposal for <a href="http://www.primethesis.com">custom thesis</a> writing services or create your <a href="http://www.primethesis.com">dissertation</a> writing services and we would buy dissertation online at that place. [url=http://idimka.ru/%d0%bf%d1%80%d0%be%d0%b4%d0%b2%d0%b8%d0%b6%d0%b5%d0%bd%d0%b8%d0%b5_%d0%bd%d0%b5%d0%b8%d0%b7%d0%b1%d0%b5%d0%b6%d0%bd%d0%be]&#1055;&#1088;&#1086;&#1076;&#1074;&#1080;&#1078;&#1077;&#1085;&#1080;&#1077; &#1085;&#1077;&#1080;&#1079;&#1073;&#1077;&#1078;&#1085;&#1086;[/url] &#1080; &#1101;&#1090;&#1086; &#1092;&#1072;&#1082;&#1090;! You don't ought to loose your internet business website because of lack of time for traffic optimization. Did you know about the <a href="http://www.4submission.com">manual article submission</a> company? Thus, it can be the best resolution in your situation.